Last month Centrepoint announced details for their The Big Broth competition. Searching for amateur cooks who have a delicious soup or broth recipe to share. Leading celebrity chefs Prue Leith, Thomasina Miers, Ching Huang, Aldo Zilli, Ainsley Harriet, Anthony Worrell Thompson have all shared their favourite soup recipes, to help inspire the nation to get cooking. 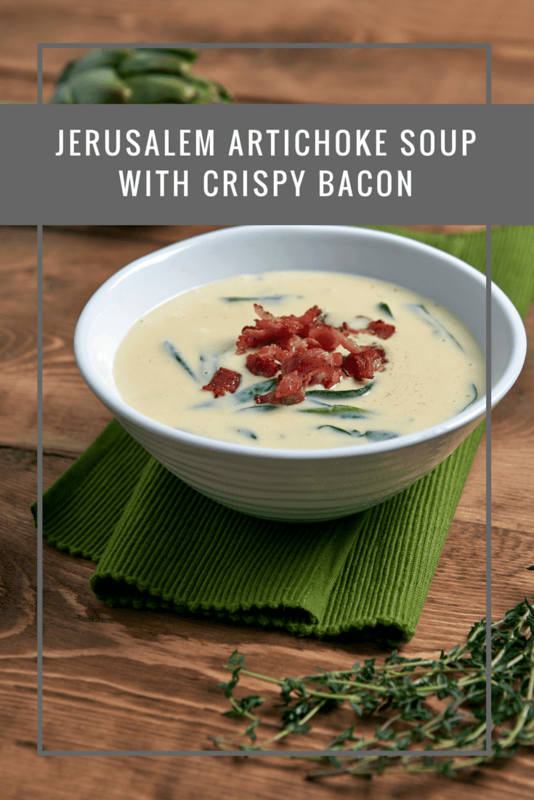 With Anthony Worrell Thompson’s Jerusalem Artichoke Soup with Crispy Bacon recipe below. Whether it’s a classic recipe passed down through the generations or a new trendy bowl inspired by trips abroad, entries should be submitted at centrepoint.org.uk/thebigbroth by 29/03/18. If you are looking for a soup recipe to add an extra something to your dinner party, or just something a little more special than the run of the mill soup. Then I suggest you try out Anthony Worrell Thompson’s Jerusalem Artichoke Soup with Crispy Bacon. Add the cream, nutmeg and spinach and reheat, stirring, until the spinach has wilted a couple of minutes only. Fold in the remaining butter, cut into small cubes, if desired. Season to taste with a little salt and a decent amount of black pepper.